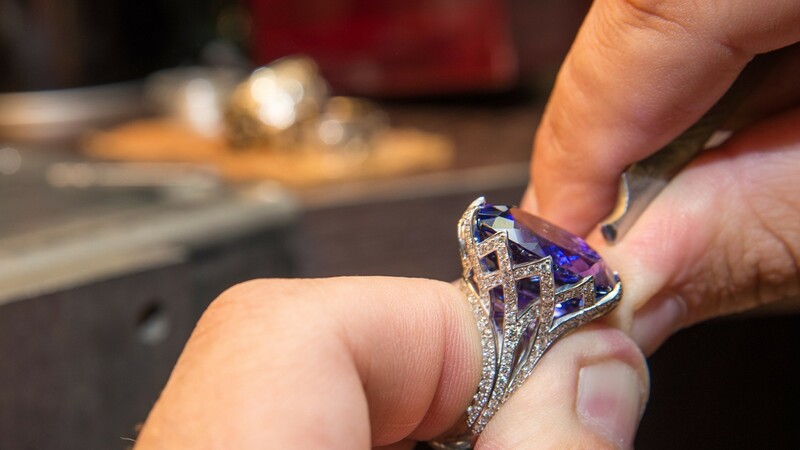 Whether it’s creating a diamond wedding ring or making a one-of-a-kind necklace, jewelers create wearable art. Jewelers and precious stone and metal workers design and make jewelry, and often sell it as well. They also repair older jewelry, and may appraise the value of both gems and jewelry. Precious metal workers use hand tools to shape gold, silver, and other metals. Gemologists use microscopes and computerized tools to examine gemstones or finished pieces and certify their quality. Jewelry appraisers research the jewelry market using reference books, auction catalogs, price lists, and the Internet to determine the value of jewelry, and then write appraisal documents. They may work for jewelry stores, appraisal firms, auction houses, pawnbrokers, or insurance companies. Bench jewelers usually work for jewelry retailers, doing tasks ranging from simple jewelry cleaning and repair to making molds and pieces from scratch. Many jewelers and precious stone and metal workers are self-employed… selling products at trade and craft shows or online. Others work in jewelry stores, repair shops, and manufacturing facilities. Most have varied schedules, and spend much of their time at a workbench. Although high school education and on-the-job training are typical paths to enter these fields, taking classes at a technical school may improve employment prospects. See more details at O*NET OnLine about jewelers. Jewelers by U.S. Department of Labor, Employment and Training Administration is licensed under a Creative Commons Attribution 4.0 International License.